1. Be open to new colors. Don’t limit yourself based on what you assume will or won’t work; sometimes, it can be tough to visualize the end product. 2. Pick colors that synchronize with your home or office’s architecture, space, feel, etc. An old farmhouse begs for a different palette than does a contemporary home. 4. Ask a professional painter for assistance if you’re not sure which colors will “set off” the intrinsic beauty of your property. 5. Visit open houses to get ideas for paint colors. Be attuned to how the colors that are used make you feel. 6. 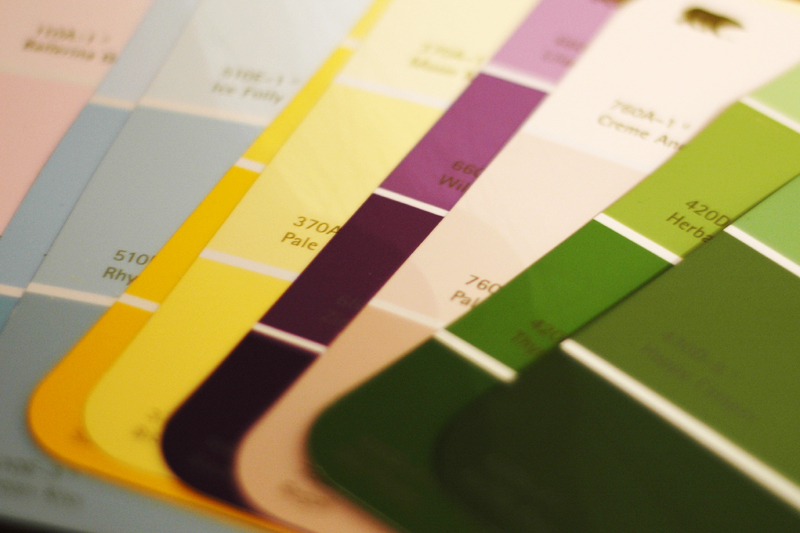 Take advantage of those free color swatches at paint stores. They can be used to help you make your decision. 7. Check through interior design books and magazines for color concepts. 8. Don’t be afraid to experiment. Get some paint samples and try them out. A few brush strokes and you’ll probably know if the color is right or not.